Sometimes, I just want to freshen up our Christmas decorations a little bit. Putting the same things up year after year can get boring. That is when I start looking around to see what I have in the house to make my own decorations. This saves us time, and especially money. This post contains affiliate links. I will earn a small commission when you make a purchase from these links. You don’t have to spend a ton of money to update your holiday decor. 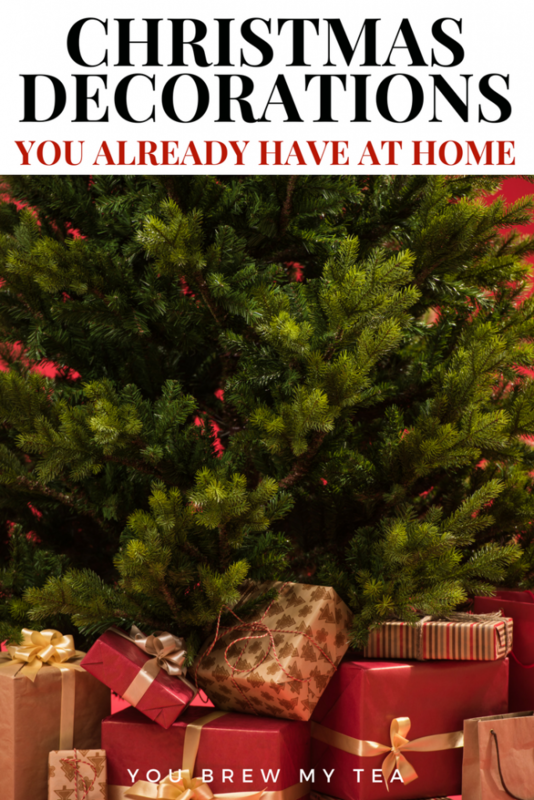 Grabbing a few things you already have at home, or perhaps a few simple items, you can make your home look amazing for the holidays. I love using some of the items I have listed below, alongside a few simple items from the Dollar Tree like foam balls, basic foam wreath forms, or even clear glass vases or glasses. All of these things are so easy to use and also work year round! I especially love that I can buy these items year round, and in bulk on Dollar Tree online. 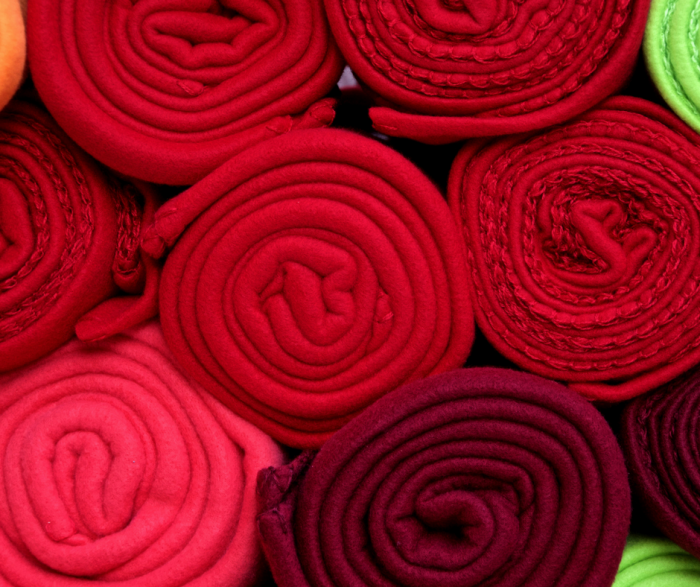 Let’s be honest here: Most of us have that bag of clothes we were supposed to donate months ago still sitting around or fabric scraps lying around you can easily make Christmas Decorations. Things like: a wreath, tree ornaments, homemade advent calendar or, you can even use it to wrap presents with. You can also check out the fabric section at your local craft store and find scrap pieces for just a few dollars for this purpose. 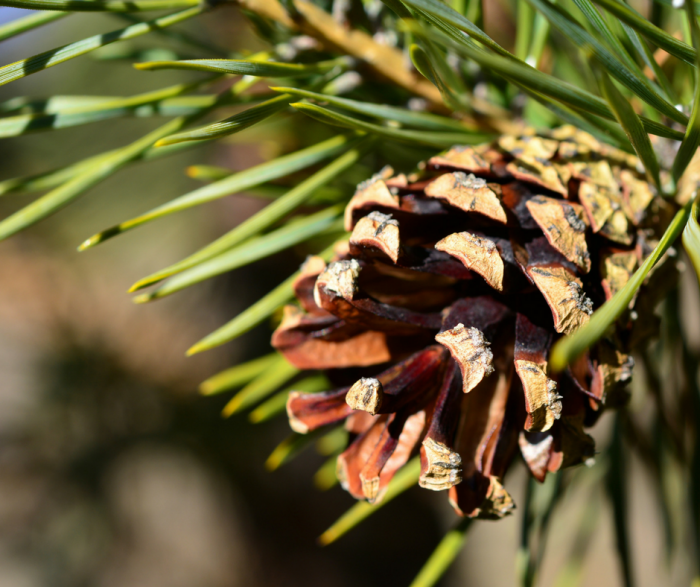 Pine Cones may not be in your yard but, you can take a walk and you are almost sure to find them somewhere in town. Take a bag with you and grab a few, bring them home, add some string and you have an easy homemade natural tree ornament or other Christmas Decoration. If all else fails, you can easily grab a bag of scented pinecones online or in your local craft store. Small twigs can be turned into easy Christmas Decorations as well. You can make so many ornaments: stars and snowflakes just to name a couple. This is perfect for getting the kids outside to help out! Give them a bag and let them go gather small twigs for crafts! Christmas lights can be very a versatile Christmas Decoration base. They aren’t just for lighting up your tree or decorating the outside of your home. You can use a strand to make a tree on your wall and save the floor space. We grab large case boxes at Dollar Tree early in the season, or at after Christmas sales and use them for a number of things year round. I am almost certain that you have some kind of paper in your house. That could be printer paper, construction paper or even coffee filters (the circle ones), whichever kind of paper you can scrounge up, you can use! We even have a Coffee Filter Christmas Tree craft idea that is easy, affordable, and beautiful! The options for paper Christmas decorations are almost limitless! You can make homemade snowflakes or Christmas Trees. One year we even decorated our entire tree out of paper ornaments (thank your curious toddler). Our oldest had so much fun coloring them and hanging them up that she asked to do it again the following year. You can use wrapping paper to “wrap” your doors or even your refrigerator and make them look like gifts. You could also wrap your cupboards if you wanted. With wrapping paper available at the local dollar store for so cheap, this is an easy way to update your home on the cheap! Using buttons and twine or string, you can easily make button garland either for your tree or to hang somewhere else. These would make the perfect simple touch to your Christmas Decorations. Plus, this is the perfect fine motor skill idea for toddlers! If you have boxes laying around waiting to go to the recycle bin, you can trace your kids and make life-size elves for them to decorate and stand outside (in a covered area of course). You could also use these to cut out trees, wreaths, or candy canes! Cardboard boxes come in handy for so many decoration ideas! With 3 simple ingredients you most likely already have (flour, water, and salt) you can make salt dough ornaments to hang on the tree or give as gifts. This makes a unique Christmas Decoration to have for years to come. You can use this simple Salt Dough Ornament recipe to make your own! These are just a few ideas. Take inventory and use your imagination. Don’t be afraid to think outside the box. 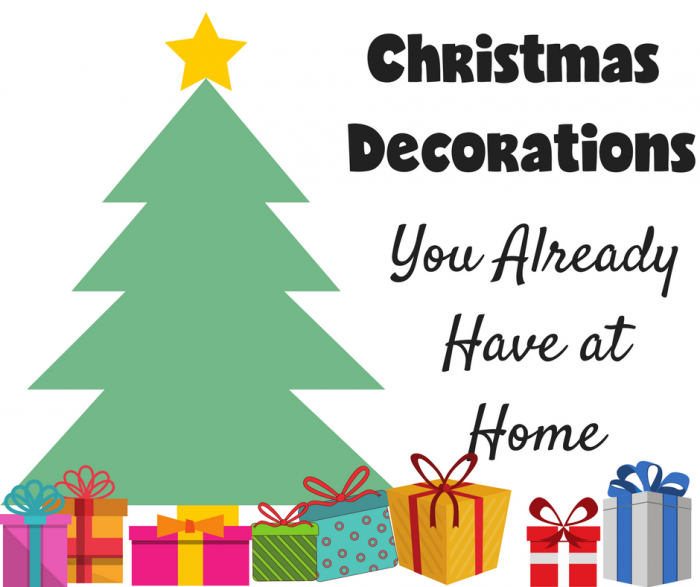 At the very least you made memories while making fun homemade Christmas decorations! What Dudes Really Want for Christmas!